Description: "Hey. Wait. If you're an Archer, how do you aim with just one eye?" "With great difficulty. Thanks for asking, jerk." When equipped, this item does 5% more damage to Undead Monsters. 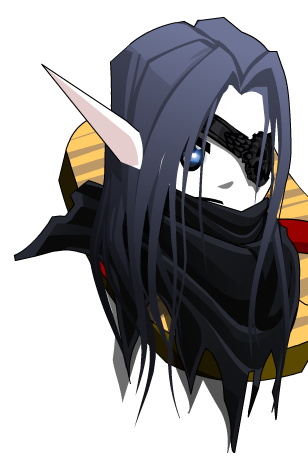 Previously called "One-Eyed Archer Drow Helm". Eagle Eye Archer Helm +5.